★★★★★ Picture quality is great straight out the box. Sound is better than average. The features are more than I’ll ever use. You can buy a cheaper TV but the quality isn’t close. After 100 plus hrs of research it boiled down to Sony or Samsung. I was leaning towards Sony because they were better rated but so glad I went with the Samsung and saved myself $1000 for the same size tv. 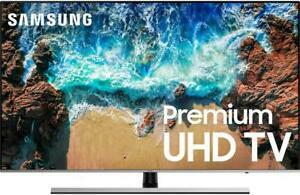 ★★★★★ Great TV with amazing clarity.